We are honored to bring you 25 bloggers autumn decorating ideas. 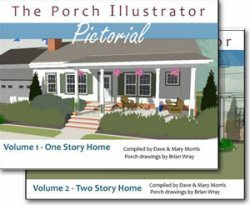 Today we present porches #16 - 20. We are pretty jazzed by all the fall decor we have seen from these creative bloggers. We thank each of them for sharing their autumn decorating ideas with us. 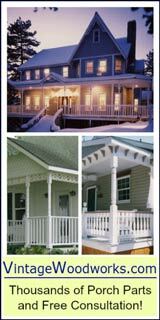 Mary Beth, author of Cupcakes and Crinolines, grew up with a large porch and has wonderful childhood memories from spending time there. When she moved into her home, her house only had a slab. So her Dad lovingly built her a small porch. We love how welcoming her front door is. 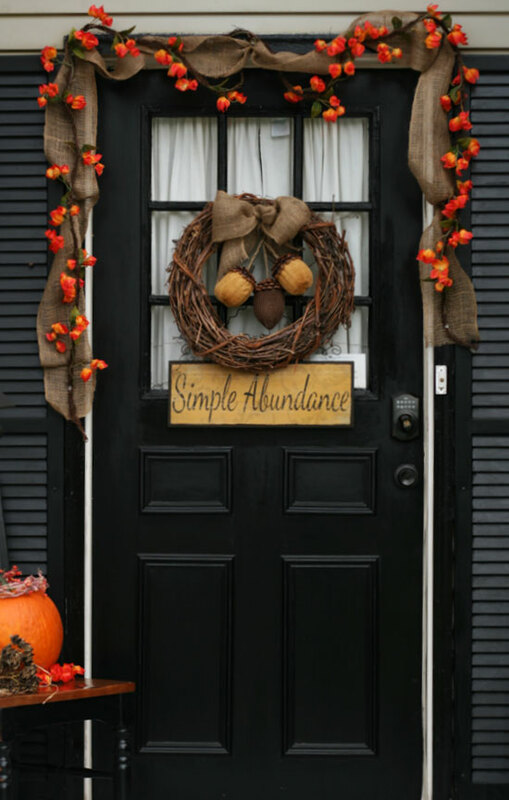 Mary Beth found the sign "Simple Abundance" and adopted that theme for her autumn porch. 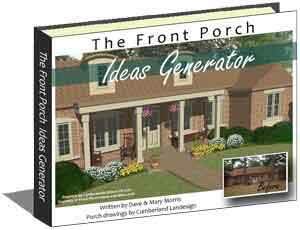 It is a perfect theme for her porch. 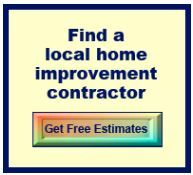 She topped her grapevine wreath with a burlap bow and hung the sign below the wreath. Her door is outlined with a burlap and dried flower garland. Very simple yet stunning! Beside the black door, is a black chair upon which Mary Beth placed a bright orange pumpkin and some flower pods from her yard. 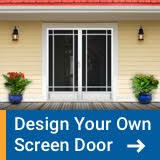 Dave and I really like that idea of blending natural elements from your yard with your decorations. 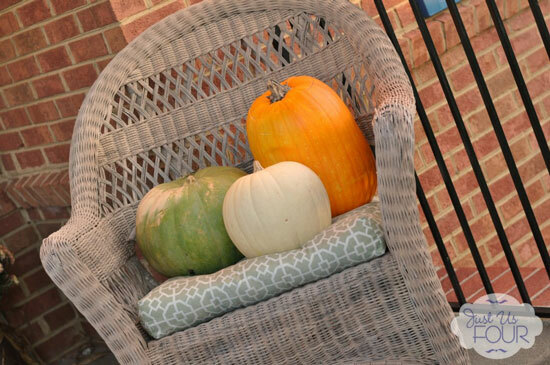 Mary Beth has many more close-up pictures of her Simple Abundance autumn porch on her blog. Please visit Cupcakes and Crinoline. Debbie is the author of Debbiedoo's. 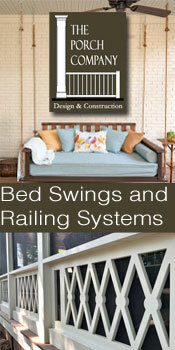 Have you seen the interview we did with Debbie about porch decorating and her blog? Debbie has accumulated a wealth of Halloween decorations over the years - and most purchased inexpensively at dollar stores. Once in a while she splurges a bit. 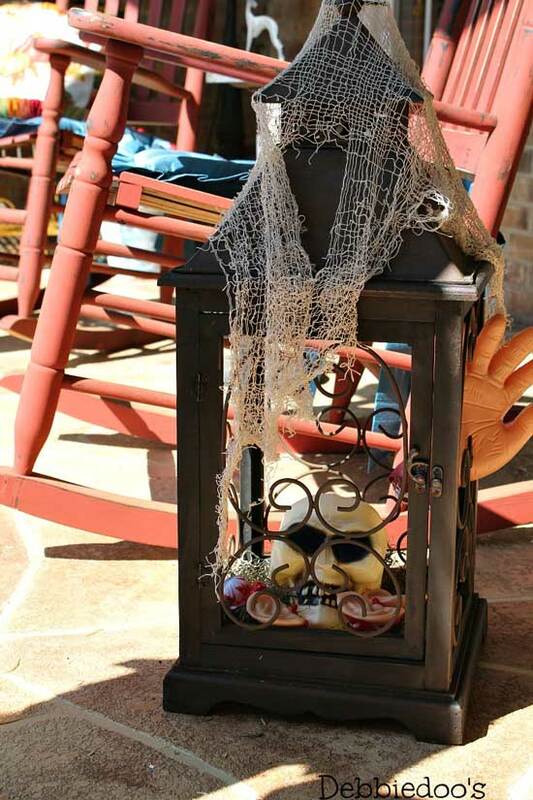 An easy Halloween idea is to put something scary inside your lanterns like Debbie shows us here with a skull and gauze fabric. I can envision a little ghost in there, too. And I just noticed that creepy hand coming out on the side. Oh gosh! Look at Debbie's Halloween wreath. Very cute we must say! 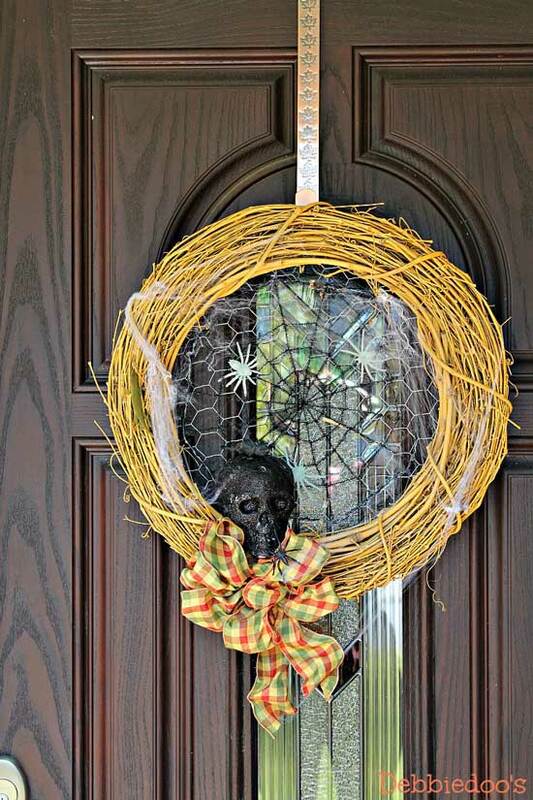 She added a spider web, some black spiders and a skull to her autumn chicken wire wreath. She has instructions on her blog about making her chicken wire wreath.. 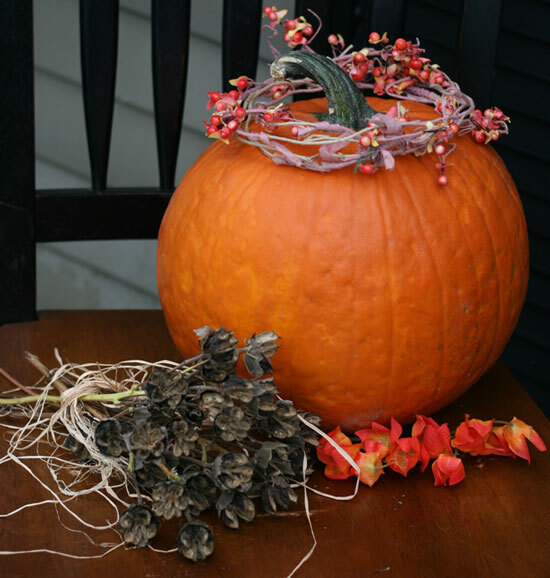 Hop on over to Debbie's blog, Debbiedoo's, to see much more of her Halloween porch. It's a little spooky, but not too much. Shannah, author of Just Us Four, lives where they were hit with a lot of rain (monsoon-like), so her plants and porch decor were hit pretty hard. But she was able to salvage some of the items and also got some loving help from her neighbors. She pulled together a pretty autumn porch. Even though Shannah's porch is small, she has room for a comfortable white wicker chair and a beautiful potted mum. Her pretty front door is bordered by cornstalks on each side and a fall banner across the top. 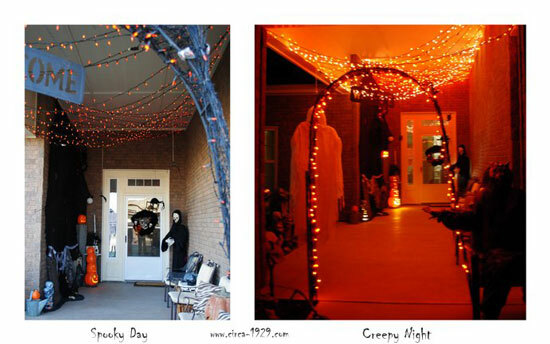 Take a look at how she dressed up her porch steps with lanterns (filled with gourds and candles) and bright orange pumpkins. I like how she placed a mix of colorful pumpkins on her wicker chairs. Just another way to add autumn color and interesting appeal to her porch. 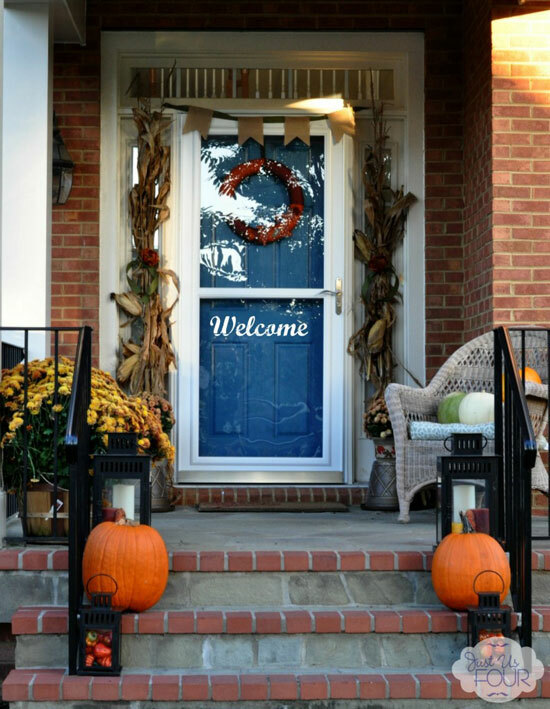 Shannah shares more pictures on her blog, Just Us Four, of her festive fall front porch. Please stop by. 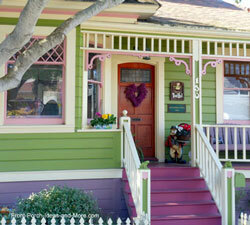 Tammy, author of Circa 1928, lives in Texas in military housing. (We thank your family for your sacrifice for our country!) Tammy puts up her fall porch in November after Halloween is over. October is Halloween month at their house. 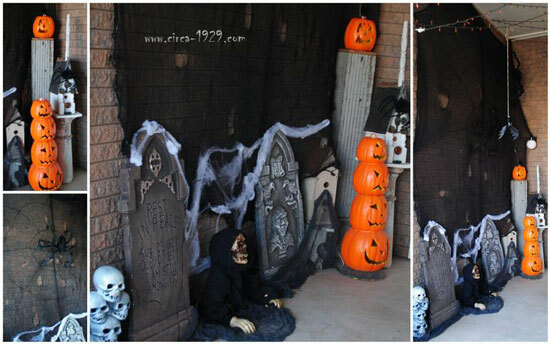 Here you can see her spooky Halloween porch both by day and by night. Enter if you dare. I think I would be scared no matter what time of the day it was with all the skeletons, bones, body parts and creepy things. Ewww! I bet Tammy's family really enjoys Halloween night - and the trick-or-treaters, too, if they are not too frightened to enter. Skeletons, webs, headstones, zombies, bats and ghosts - all things spooky and scary. Tammy shares more scary Halloween pictures on her blog, Circa 1929 (link not available). Happy Halloween! 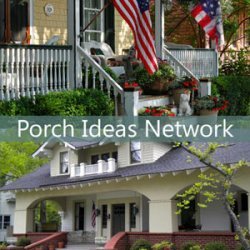 What an opportunity to feature the 25 Bloggers fall and Halloween porch tours with you. This is #16 through #20 porches with 5 more to come. 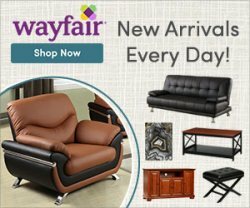 Did you find a favorite here?